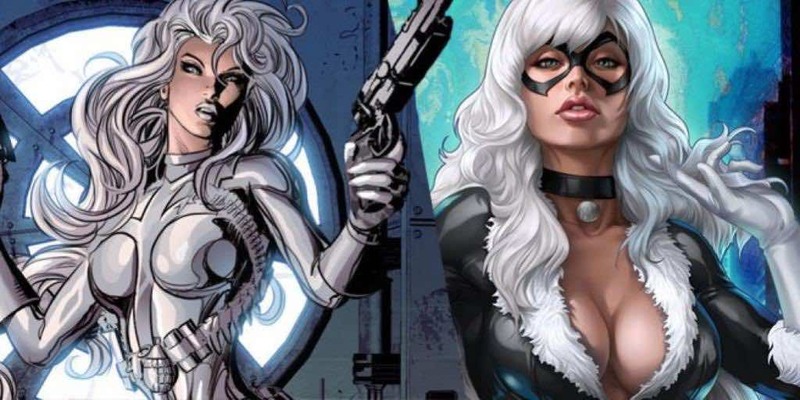 Sony Developing Silver Sable and Black Cat Project | Nerd Much? According to The Hollywood Reporter, Sony is “developing a feature project” about Black Cat and Sable Silver. Chris Yost, known for his work on Thor: Ragnarok, is set to write the script. A script that appears to be from the hands of Lisa Joy (Westworld), and will be built on by Yost. He will be working with producers Matt Tolmach (The Amazing Spider-Man from 2012) and Amy Pascal (Ghostbusters from 2016). Respectively, Silver Sable is a mercenary, hunter of war criminals, the leader of the Wild Pack, and CEO of her own company, Silver Sable International. Black Cat, also known as Felicia Hardy, is the daughter of a world-renowned cat burglar. After suffering a traumatic event as a college freshman, she decided to follow in her father’s footsteps, and adopted her costumed identity as the Black Cat. It has not been made clear exactly how these two will fit into another movie on their own. In the comics, they appear together only in the What If? series. Here, Spider-Man marries Black Cat instead of Mary Jane (though she hasn’t died, just injured). The marriage is born from a series of high-moral conflicts as Spider-Man suddenly decides that Jane’s injuries mean he’s unable to look after her. However during the rekindling Spider-Man and Black Cat’s romance, Black Cat slips up and reveals Spider-Man’s identity. She is later killed by Paladin when he think she’s coming to kill Mary Jane out of jealousy. Silver Sable abruptly joins the party and a romance flairs between her and Spider-Man.